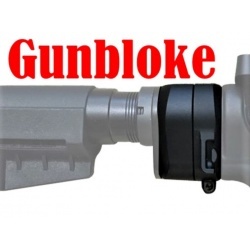 Mil-spec or Commercial 6 position Buffer Tube to suit Rifle Chassis Systems. 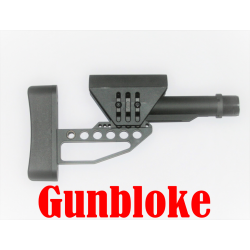 Suits Tactical Rifle Chassis Systems / AR15 Lower etc. Made from high density polymer. The Textured surface provides a comfortable grip with no slip. 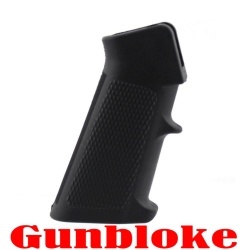 Suits most chassis systems & lower receivers that use the AR style grips. Mil-spec or Commercial 6 position adjustable Buffer Tube to suit Rifle Chassis Systems. 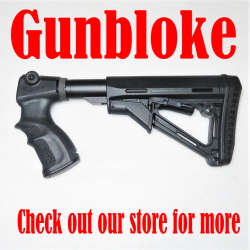 The GUNBLOKE-FAB DEFENCE ADJUSTABLE PISTOL GRIP STOCK KIT, take your Remington to an optimal tactical level. System may require some fitting to align to receiver correctly. PLEASE CHECK WITH YOUR STATE LAWS & REGULATIONS BEFORE FITTING. 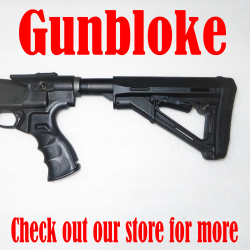 The GUNBLOKE HIGH TUBE ADJUSTABLE PISTOL GRIP STOCK ASSEMBLY enables installation of a fully adjustable stock on the Remington 760/7600/7615 pump action rifles. System designed to increase alignment above receiver & be fully adjustable to suit each individual. 4 x Quick Detachable Sling Mounting positions. 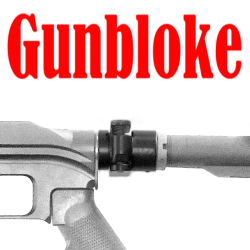 The Gunbloke Folding Stock adapter enables installation of a folding stock on any Chassis / Stock System using AR style buffer tubes to create a smaller-profile rifle for easy deployment from a vehicle or transport in non-permissive environments. 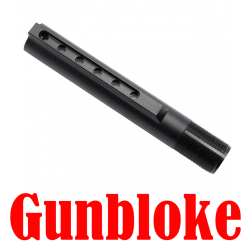 Accepts A2, mil-spec M4-style, and commercial receiver extension tube and almost any stock that fits them. Single-button operation for quick folding and unfolding and steel locking latch keeps stock securely in place when extended.